Modern displays are usually based on some type of liquid crystal, in which the crystals are actuated in a certain pixel by means of a voltage in order to affect how the light, which is backlit, passes and reaches the observer’s eyes. Displays based on liquid crystal are used in everything from small displays in digital watches to wide-screen TVs, although there is a significant difference in both technology and performance between different types of LCD displays. What they have in common is that LCD displays use light that is either produced behind the display element (backlit) or that is reflected in a layer behind the display. With the OLED (Organic Light-Emitting Diode) display, the light is emitted directly in the pixel that is manipulated. There is therefore no need for any backlighting. Technology is now available in many consumer products as well as mobile phones and TV sets. The TFEL display is produced using thin film technology and is entirely inorganic and completely solid. This technology standard graphic models are available in sizes from 3” to 10.4”. Available are also segmented displays with enhanced brightness. You can design your own displays and still get all the benefits of proven and robust thin film electroluminescent display technology, manufactured at Beneq’s factory in Finland. What’s more, its durability is proven by surviving up to 200 g-force shock and a staggering 250,000 hour mean time between failures (MTBF) for the display glass. 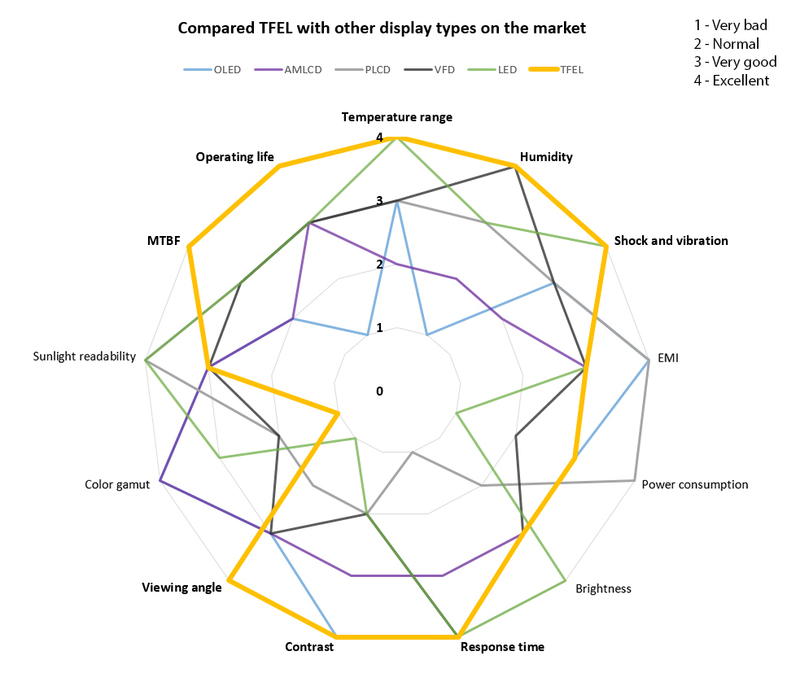 TFEL displays are capable of instant-on performance from -60 °C to +105 °C (from -76 °F to +221 °F), with instant pixel response over the entire temperature range, and no motion blur. In addition, electroluminescent displays have the highest resistance to moisture compared to other technologies. They are distinguished by the high contrast, viewing angles and response time. 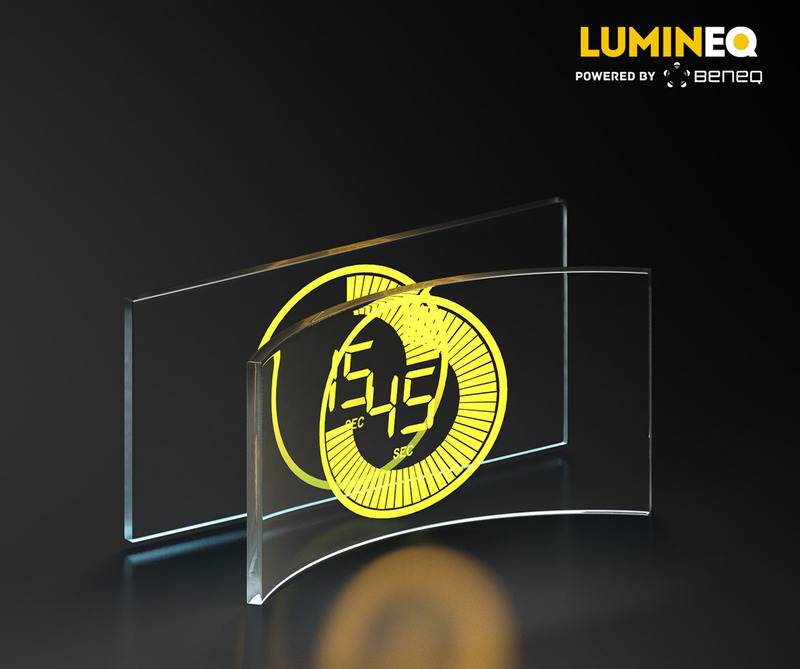 Lumineq® TFEL displays support the end product in complying with FCC Part 15, Subpart J, Class B and EN55022. 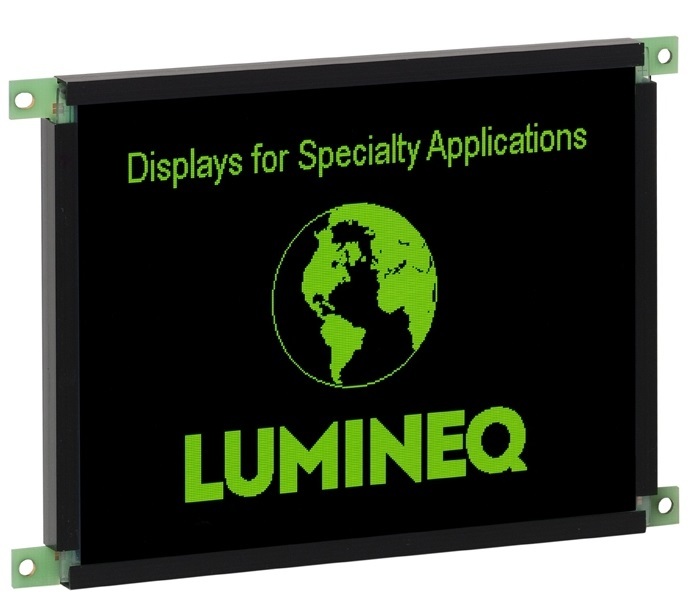 Lumineq® TFEL displays because of its parameters working in difficult conditions and visual performance are used in mining, marine, military, medical, and many other demanding environments. TFEL displays are robust and reliable, usually used in extreme conditions where traditional displays cannot cope. Thin film technology electroluminescent displays with a transparency of more than 80%. These have the same performance as thin film technology EL displays and are resistant to moisture, impact and vibration. 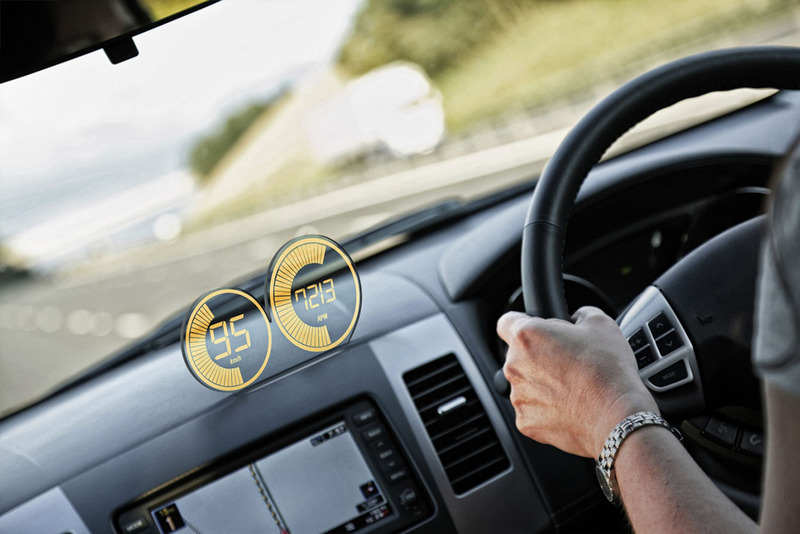 In-glass laminated Lumineq displays replace head-up-displays (HUD) where traditional projected head-up displays do not work, such as windscreen of work vehicles. Lumineq displays in glass are crystal clear even when the vehicle is vibrating and tolerate shocks that would break HUD projectors. 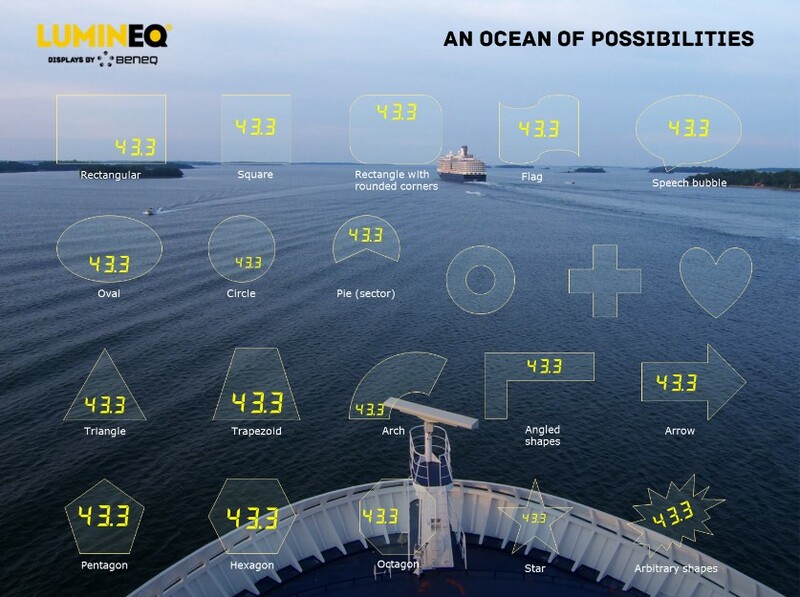 You can keep your attention and eyes on the road ahead and still receive critical data from the transparent display. And when the data is not needed, the display can be switched off. It then becomes totally invisible, leaving no traces in the glass. 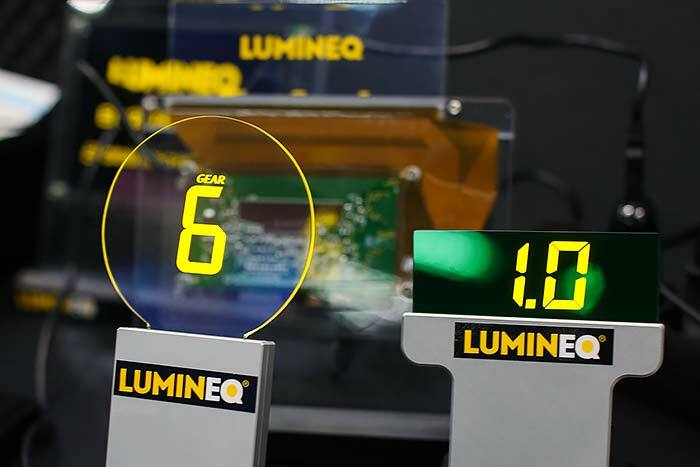 Lumineq transparent electroluminescent (TASEL) displays combine the rugged and reliable build of thin film electroluminescent (TFEL) displays with the unique freedom of designing a completely transparent display that can be viewed from two sides. 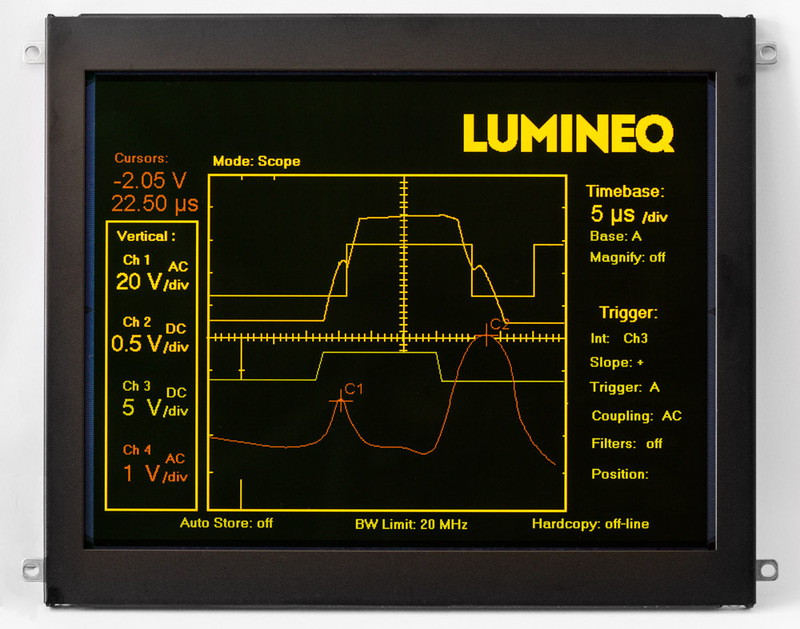 In addition to our range of standard products, Beneq offers custom Lumineq displays. You can design your own displays and still get all the benefits of our proven and robust thin film electroluminescent display technology, manufactured in-house at Beneq’s factory in Finland. The basis of a TASEL, the display glass, is easily customized, it can be drilled or cut to custom sizes. Whats more, Lumineq production facilities have obtained ISO 9001:2008 registration.